For several reasons, 'The Train' [review] is a landmark record. 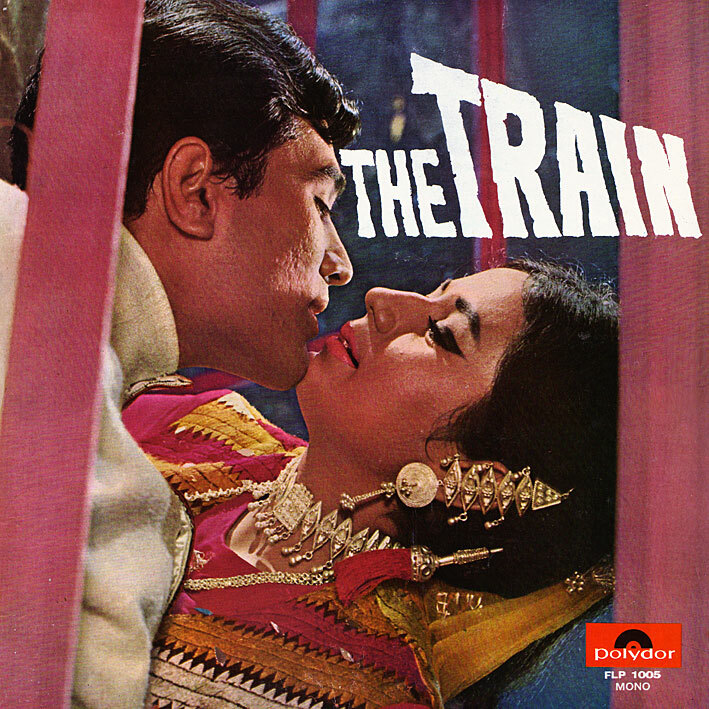 It was the first ever Indian soundtrack album to be released on the Polydor label, ending a decades long near monopoly on the part of the Gramophone Company of India (EMI/HMV). The latter was obviously very annoyed by this intrusion, and in fact counteracted by releasing an EP of cover versions of the film's songs. Unsuccessfully, I'd imagine. There's plenty more good tracks as well. 'Gulabi Ankhen' is wonderfully catchy pop with a great groove, the percussive 'Saiyan Re Saiyan' is similarly impossible to sit still to (I adore the instrumental build starting at around 1:25), the bossa-flavoured 'Kis Liye Maine Pyar Kiya' is Lata Mangeshkar at her loveliest, and 'Maine Dil Abhi Diya Nahin' is another cabaret number - less out there than 'O Meri Jaan' but nevertheless fabulous. Incidentally, this is the only album I'm familiar with where Rafi is credited with his unabbreviated, if unusually spelled, first name. I'm really excited to listen to this one! PC, I've just done a comparison of your rip against Sheila's from March 2008. I'm going with your rip. The pressing is cleaner, and also - not having the DVD to refer to or anything - I'm going to guess it's her version that has a pitch problem, not yours. Hope so... the light on my turntable strobe is busted, but it should still be spinning at the correct speed. Excellent find! I subscribed to your blog a few weeks ago and I'm really enjoying your selections. Thanks! Just having a look at yours as well - looks ace! Thanks PC for the excellent rips. you are right, it's unfortunate that Polygram didn't release the prelude of "O meri jaan". Also this movie had an wonderful title track sung by RD and Usha Iyer (Uthup). Oh I am so sad to see no instrumentals in this...the background music is so superb. But still---it's better than no The Train from you!!!! :) thanks! @gjg---your blog (and your night job anyway) look FAB! hey PC! you have an awesome blog here. thanks for all the boolywood goods !!! Thanks for your rip. Saves me the hassle. Keep up! I'm going to pretend I'm not jealous. And fail at it. No it isn't, it works fine.